The commitment we've had for our communities has extended for well over 100 years and comes from the value we place on our partnerships and people in living in our communities. Calpine continues to extend their hand and will continue to make an effort to help the lives of others for years to come. 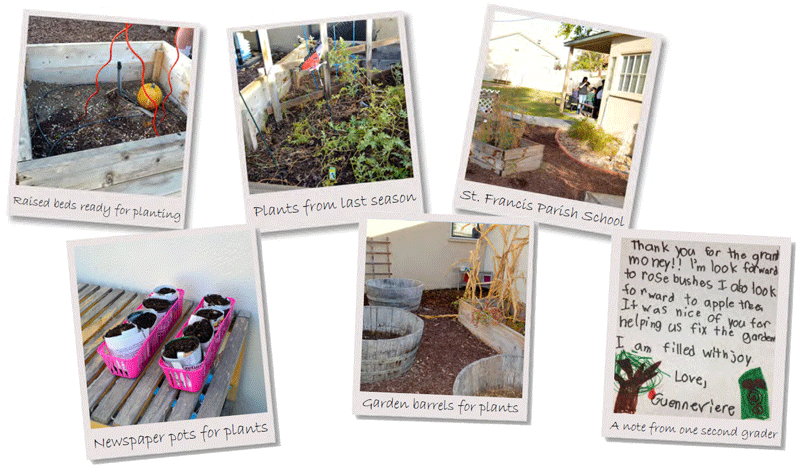 On October 4, 2013, Calpine Containers and Western Growers Foundation presented St. Francis Parish School in Bakerfield, CA with a donation for their school garden. Pam Manning, a second grade teacher, is one of the garden's biggest supporters and the school's garden coordinator and her class will help take care of the garden for the school. They are busy researching the type of garden they will grow and will soon plant winter vegetables in order to harvest salad greens sometime in January or February. Calpine is proud to help the Western Growers Foundation in their effort to bring school gardens to every willing California and Arizona school. To learn more about Western Growers Foundation and read the article published about our experience at the school, visit them here. © 2018 Calpine Containers, Inc. All rights reserved.